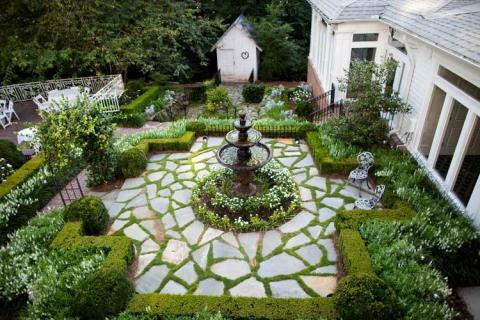 Primrose Cottage is one of many Atlanta wedding venues, but it’s location and landscape make it stand out among the rest. Beautiful forests and enchanting gardens surround this venue, making it a magical place to say “I do.” Just on the outskirts of Atlanta, Roswell is a gorgeous town full of vibrant color, making for the perfect wedding photos. The breathtaking landscape and greenery at Primrose Cottage can make your venue choice simple. 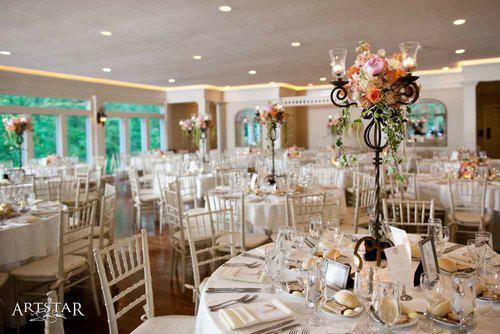 Whether you want an indoor or outdoor wedding, Primrose Cottage’s ballroom can accommodate either. With floor-to-ceiling windows and modern features, this grand ballroom is the perfect space for a beautiful reception or ceremony. This space can host up to 300 guests, so all of your family and friends can celebrate your big day with you in one of the perfect Atlanta wedding venues! The gardens at Primrose Cottage are unbeatable. The ballroom looks out onto this gorgeous landscape so you and your guests can dance the night away with a view or say yes to forever with the captivating forest in the background. The gardens create the perfect atmosphere for a special wedding day. This wedding venue in Atlanta has spacious suites for both the bride and groom to prepare for their big day. The bridal suite has ample space and luxurious features so the bride and her bridesmaids can get ready in comfortable luxury. The groom suite is designed like that of a “man cave” with exposed brick to reminisce and celebrate the exciting big day.